This is my second feature on Filipino restaurants in Seoul. A few years ago, I posted about KUSINA Restaurant located in Haebangcheon. Angela Sawyer told me about it in an email. I have been there only once and it was a good experience. Unfortunately, there aren’t many decent Filipino restaurants in Korea. Oh how I miss “Pinoy Pinay” in West Covina. We were there several times last summer and I so miss their halo-halo. 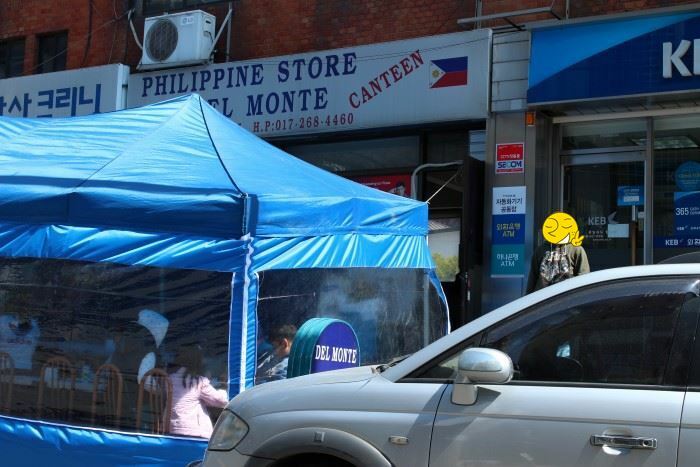 One restaurant in Hyewha that I go to is DEL MONTE. As far as I know, the restaurant has been in operation before I even came here but it was only this year that I got to try their food. DEL MONTE is open only on Sundays. It is located in Hyewha-dong, beside Korea Exchange Bank. 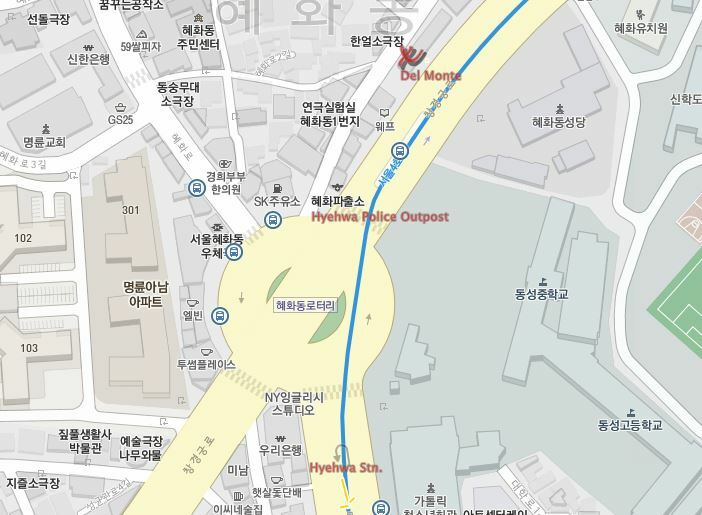 Just find the Police Station at Hyewha-dong Rotary then enter that street and walk straight until you find Korea Exchange Bank. DEL MONTE is a turo-turo style restaurant so don’t expect a fancy interior. 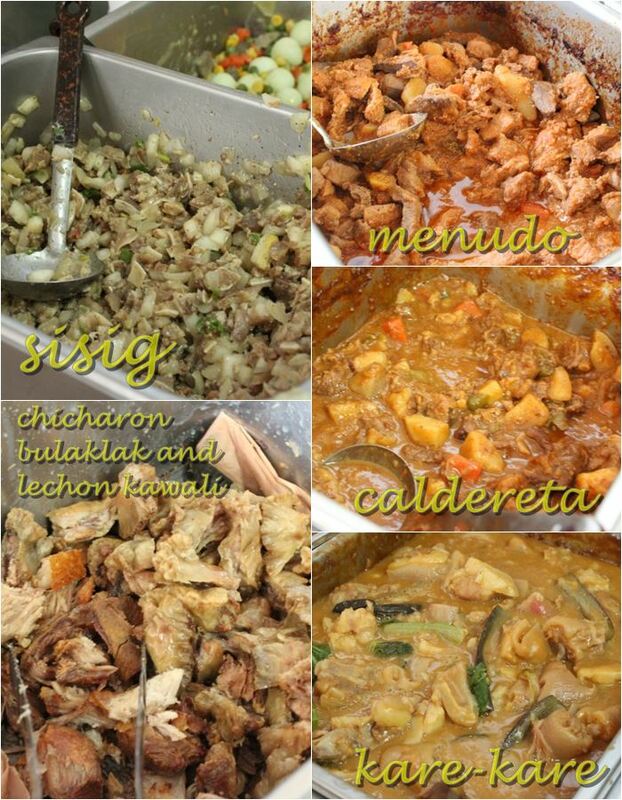 Most of the food they serve are meat based ~ from menudo to kare-kare. They do have a few veggie dishes like chopsuey and pinakbet. Since the owner and the staff are all from Pampanga, the dishes are Cabalen style ~ which is perfect for a “Cabalen” like moi. Oh how I hate sisig with mayo ~ and I’m glad Del Monte prepares sisig the original way. Food in Del Monte is quite cheap ~ you get to choose 3 viands and a serving of rice for only 6,000 won. After the Mass at around 3 pm, buffet is offered at only 10,000 won per person. Better visit DEL MONTE before noon as the place is usually packed at this time. 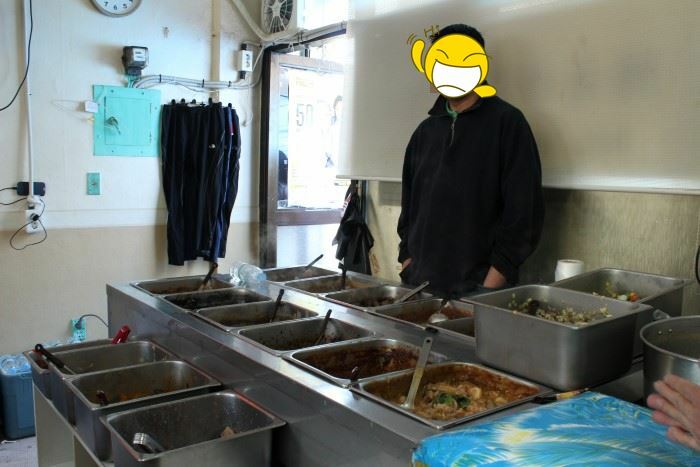 I once visited the place at one o’clock in the afternoon and they already sold out their food.